We offer a waste haulers insurance program that provides the most comprehensive, cost-effective insurance coverage possible for waste hauling and recycling companies. This program is offered by some of the larger markets in the nation and is administered by a small number of MGA's. Eidyia brings together underwriting, actuarial, and distribution intermediaries who understand the special insurance needs of the refuse and recycling industry. Insurance is placed with an A-rated and admitted carrier that is acceptable to the government and/or commercial customers of the participants in the program. 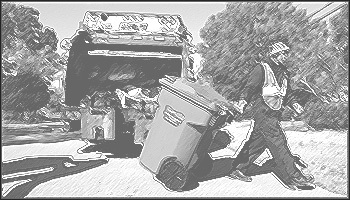 The Environmental Industry Association (EIA), the nation’s waste industry representative, sponsors this aggressive and comprehensive insurance program for all segments of the refuse industry. This program incorporates comprehensive insurance coverage for companies engaged in almost any type of non-hazardous waste service activity.